How you can keep a cool head when things heat up - GDA - Gesamtverband der Aluminiumindustrie e.V. ...is divulged by DJ and party organiser Marko Heimerzheim..
Until very recently, Marko Heimerzheim, the man operating the turntables, was an absolute insider’s tip amongst partygoers. Now he is filling the hippest clubs with his completely unique style. Tonight he has even got his own artists’ dressing room. Unthinkable just a short while ago. „It’s unbelievable how everything has developed so fantastically,“ says the charismatic shooting star of the clubbing scene in amazement during a short refreshment break. He takes an unusually shaped aluminium can with photo printing from his bag. Hair spray? No, the eye catcher turns out to be a deodorant which quickly disappears under the DJ’s shirt where – well dosed and hygienic – it provides that refreshing feeling with a distinctive hissing sound. „I love that sound,“ he says. The sound artist obviously has a fondness for particularly conspicuous packaging containers made of aluminium, all the more if they make interesting sounds: Perfect. His rapid rise into the elite group of professional DJs is no coincidence. The 27-year-old studied marketing. For his final thesis he developed an innovative marketing concept for a drinks company. 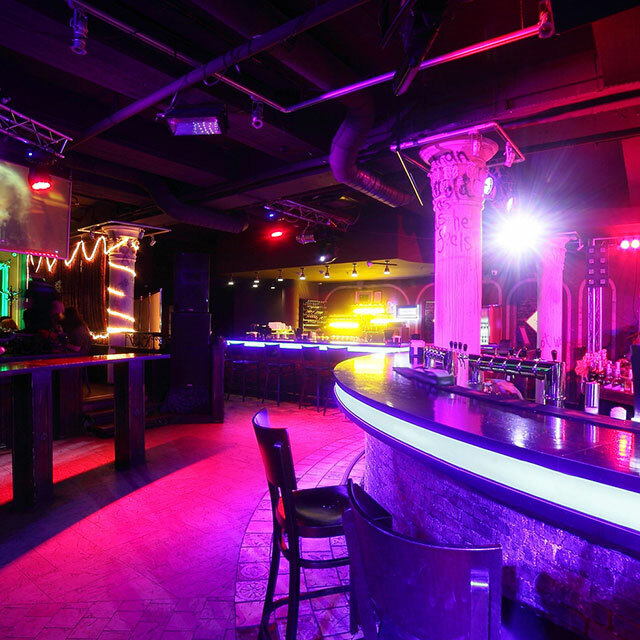 It covered the market launch of a trend drink using a series of parties with live acts. Today’s event is one such party. „I knew that the concept wouldn’t work without an outstanding packaging design,“ says the multi-talented young man. „The drink attracts attention on the shelf straight away thanks to its modern minimalist and cool outfit.“ There is only a simple new-age hieroglyph – a QR code – emblazoned on the silver body of the bottle. The brand label. Deep embossed in a luminous metallic colour. If one scans the code with a mobile phone, one lands directly on the website for the popular series of events. There is background information on all the dates, artists, music styles, etc. There is also a prize competition. The winners receive non-cash prizes and free tickets. The aluminium bottle acts as the lottery ticket. There is a small, unforgeable number embossed in the metal base of the bottle. Purchasers can log into the party website and check whether the number on their bottle is a winner. As an additional feature, purchasers can find voucher codes on the bottles for downloading music of the artists performing. Not straight away though. There is a special gimmick here: the code can only be read in black light. Impervious and neutral-tasting aluminium pot lids protect products like these against the ingress of rays of light even in a brightly lit refrigerated display case in the supermarket. As with all other forms of aluminium packaging, attention is also given here to using material as sparingly as possible. 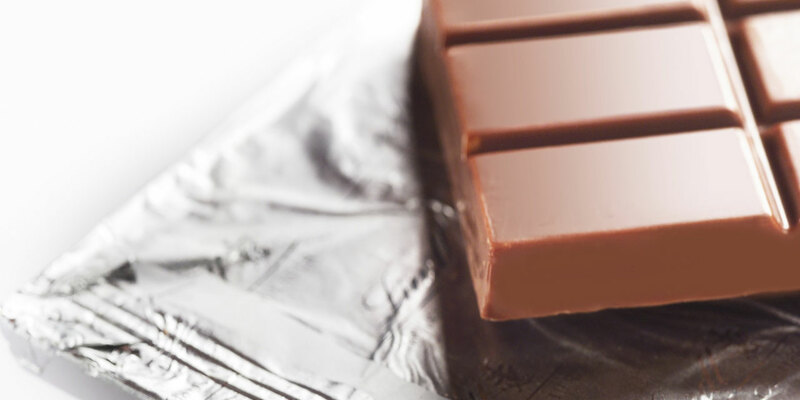 Aluminium foil offers complete protection despite its thinness. „The unusual bottles are already popular collector items,“ reports the creative mind behind the idea. „Kids associate them with happy memories. There are often fans who even ask us to autograph their bottles. And despite the cost of the high-grade packaging and the parties, the company is thrilled with the excellent sales figures.“ The DJ is once again in his element. The raving crowd is celebrating like there is no tomorrow. The fun factor can’t be topped. „The width of three fingers above your belly button is where the vibes are strongest,“ claims the DJ. „Here in the solar plexus, the mixture of music and cool drinks is transformed into a pure urge to dance.“ He takes a sip of his drink. The body of the bottle reflects the coloured spotlight. The crowd succumbs entirely to the flow of the moment. It is oblivious to what is going on around it. But one thing is for sure: this DJ really can perform magic. First impressions count. This is particularly true at the point of sale. That’s where a customer gladly grabs a product whose packaging conveys premium quality and aesthetics. 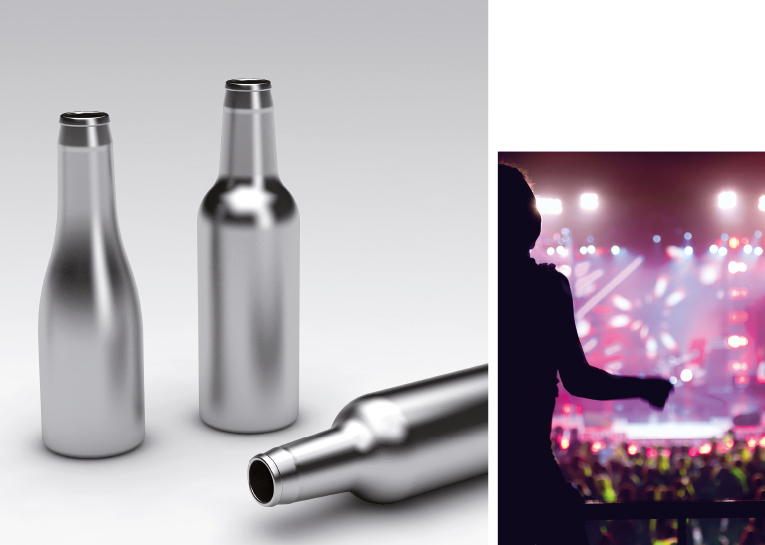 As a packaging material, aluminium ensures optimal product protection and is an outstanding eye-catcher. The light metal offers a huge range of design oppor- tunities. Bottles, aerosol and beverage cans with distinctive silhouettes and appearances turn the contents into highly visible and much-liked branded products. 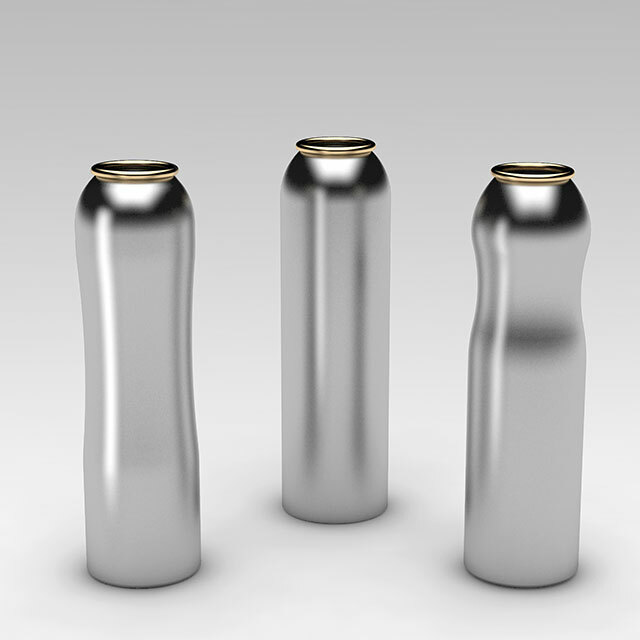 Slim-waisted variations of the basic cylindrical shape add an attractive sporting look to the easy-to-hold alu- minium can. Customers are impressed by the elegance of a well-pronounced rounded shoulder or a slim bottle neck. Modern printing techniques leave nothing to be desired when it comes to creating unique designs. Whether shiny, matt or semi-matt, embossed print or printed photos, with or without special effects, or in splendid colour, the designs have a magical attraction.